Download the pdf information leaflet. Come along to our open days to get all the information you need to plan your future. Catriona Ramsay and Chelsea Joslyn, winning Fashion students, are pictured here with proud Principal, Alan Sherry. 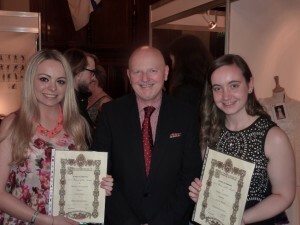 Talented Glasgow Kelvin College students scooped up eleven of the prestigious awards at this year’s Craftex exhibition held in Glasgow’s Trades House last week. The Trades House, home of Glasgow’s Incorporated Crafts, each year holds a city-wide competition for the Glasgow colleges to create a platform for their most talented students and their work. 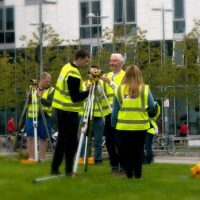 The awards were presented at a sparkling ceremony at Glasgow Trades House, where award-sponsors, industry representatives and college staff applauded the fabulous achievements of all the students involved. 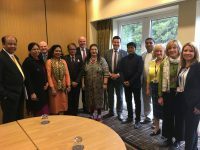 A huge congratulations to all the Glasgow Kelvin Award Winners! Strutting their Stuff for Yorkhill! 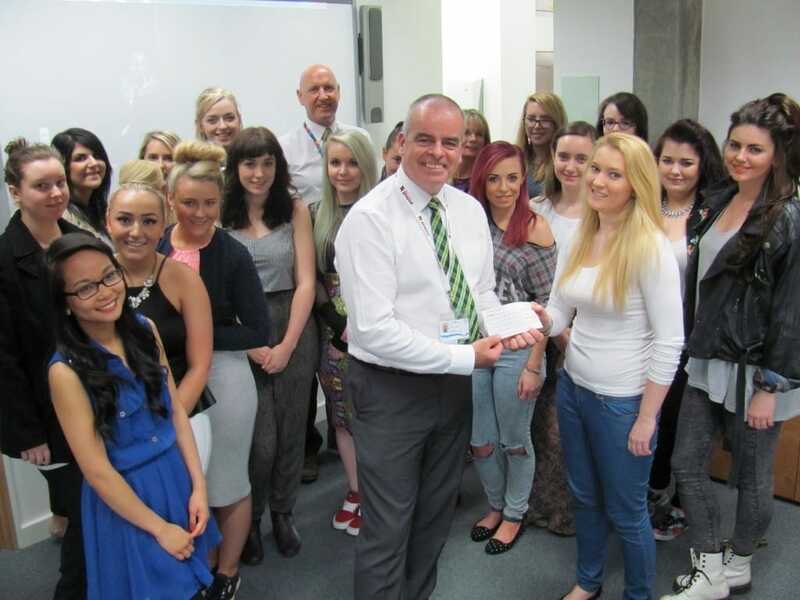 The group are pictured here presenting the cheque to John Logan, Volunteer with the charity at their tea party in Springburn Campus. Glasgow Kelvin College’s supremely talented 2nd year HND Fashion students celebrated their successful year with a cheque presentation to Yorkhill Children’s Charity for a bodice-bursting £5,315.11 !! The hard-working students held a variety of exciting fund-raising events throughout the year, topped off with a splendid fashion show which packed out the dance studio at Springburn Campus. Friends, families and fashionistas were treated to a catwalk extravaganza of the students’ marvellous garments and outfits, complimented by work from the NC and HNC Fashion students. The event involved students from all over the College, where students modelled the impressive styles and Hairdressing and Beauty students helped showcase their own skills by supporting the backstage effort. 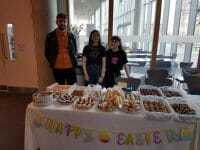 This hugely successful event was organised and staged by the HND students who raised the princely sum for a very worthwhile cause close to their hearts. John Logan, Volunteer with Yorkhill Children’s Charity, was delighted to receive the cheque from the students at a tea-party which they held to mark the occasion. Congratulations and thanks go to all the students and staff who helped raise this impressive donation for a very deserving cause. 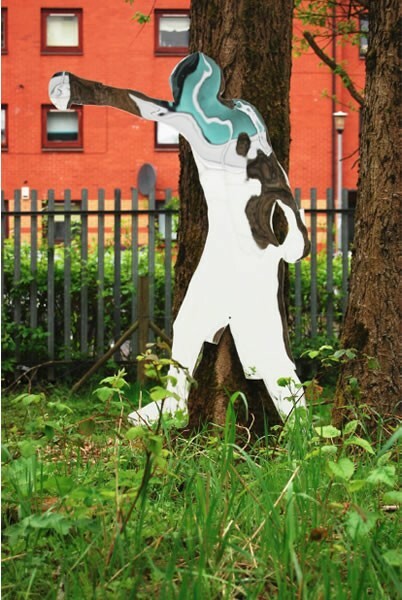 A group of young learners, aged 17-21 with additional support needs have created spectacular sculptures which can be viewed in the Community Garden at Springburn Campus. In recognition of the 2014 Commonwealth Games, the students studied a variety of athletic disciplines, then modeled and created thirteen life size figures, of athletes in action, out of mirrored Perspex. Sound student worked with the supported learning students in providing appropriate specific sport related sound effects with lasers. These figures are now part of an art installation in the college grounds. 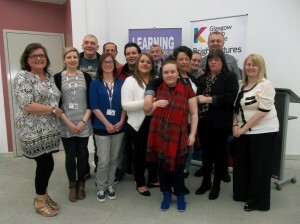 The talented learners are pictured here with staff from both Thenue Housing and Glasgow Kelvin College. 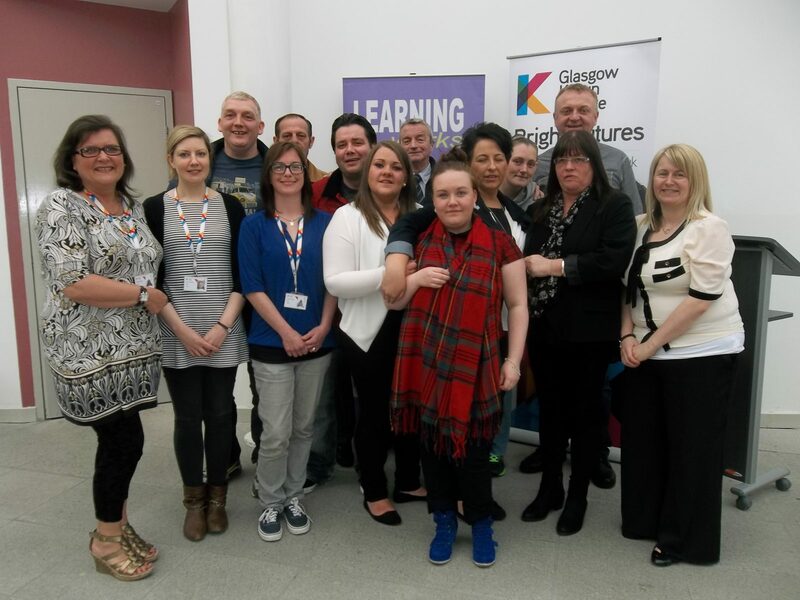 Thenue Housing Association’s ‘Learning Works’ programme which has recently received a welcome funding boost from Big Lottery has completed its fifth programme and is now in its sixth intake of students, supported by Glasgow Kelvin College!! 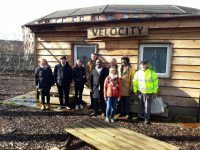 The programme, which is also part-funded by Clyde Gateway and the Scottish Government’s ‘People and Communities’ fund, was organised and resourced by Thenue Housing Association to deliver employability and personal development skills to local residents in the East End. Alan Inglis, Vice Principal of Glasgow Kelvin College, was delighted to present college certificates to each of the successful students at the College’s East End Campus. 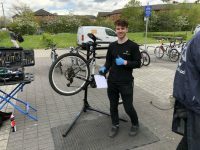 Running for 10 weeks at a time, this initiative has now witnessed over 80 people gaining skills for employability and personal wellbeing, equipping them for the workplace or further learning. This most recent group of learners to complete were full of praise for the support they received from the Employability Support Worker and are keen to put their new-found skills into practice. “Learning changed my life and I am always supportive of what the college does. Courses like the Learning Works programme can be the first step on the road to realising your aspirations and the start of a whole new future”.